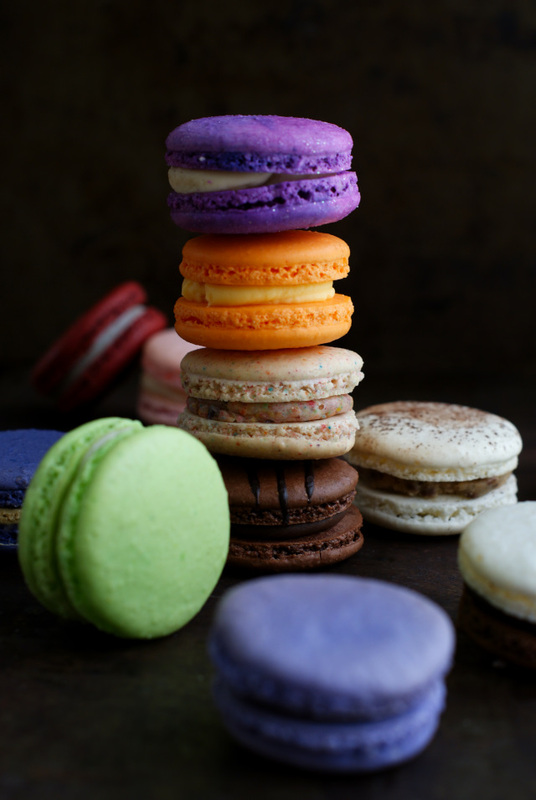 Dana's Bakery has revolutionized the traditional French confection by crafting a collection of artisanal macarons that are kosher, gluten-free, and available in authentic American flavors! 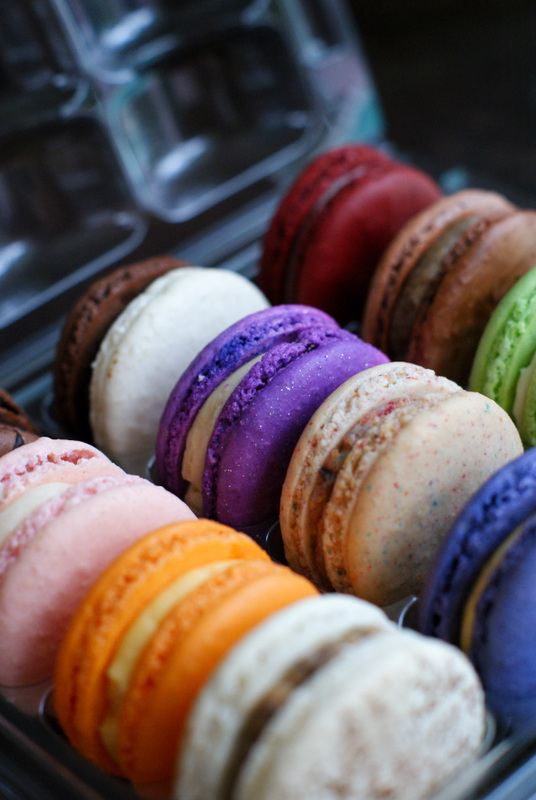 They should be on every macaron lover's must-try list! When you think of a macaron, what comes to mind? I envision a cute little French bakery on a bustling city street, where lively French bakers carefully fill glass cases with oodles of colorful little macarons. I imagine a thin spread of sweet filling sandwiched between two delicate little meringue cookies that are perfectly light and airy, yet still incredibly decadent. I imagine that those macarons are truly divine. I also imagine that I would probably have to travel to that quaint little bakery in France to get the whole authentic macaron experience. Sadly, I've never been to France. And, though it would be nice, I've got no plans to do any international traveling anytime in the near future. It was kind of looking like authentic macarons weren't destined to be in my life. That was until I found out about Dana's Bakery. 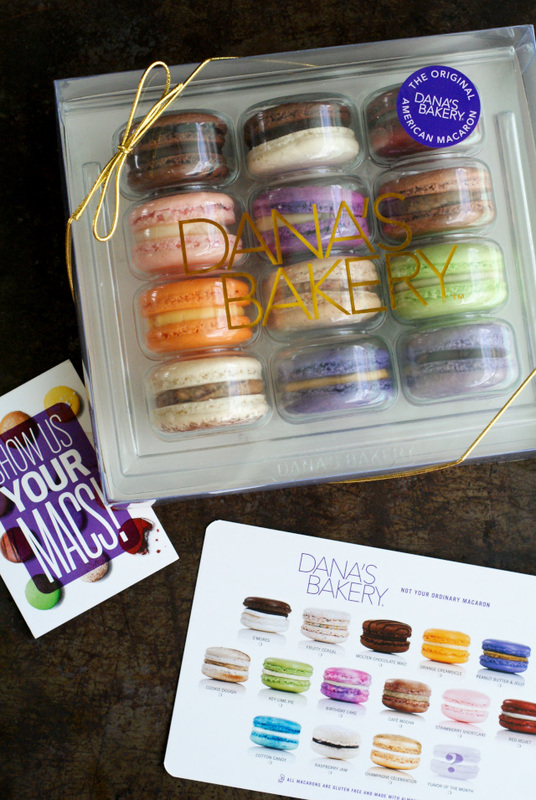 Who is Dana and what does her bakery have anything to do with my dream of indulging in delectable French macarons? Dana Loia is the creative force behind Dana's Bakery. She has created a line of American-flavor inspired french macarons that are hip, fun, and freaking delicious. Aaaaaand they can be delivered right to my door. I told you they were the macarons of my dreams! No international travel required! These babies are great for ANY OCCASION: Think baby showers, birthday parties, business meetings, or brunch. They would fit in, or rather, be the star of any spread. The flavors are FUN: The macarons are inspired by classic desserts, pastries, candy and sweet treats. I'm talking Red Velvet, S'mores, Fruity Cereal, and Thin Mint. See the full gallery of flavors here. Be prepared to be impressed! They are CLASSY: Top quality shipping and packaging. 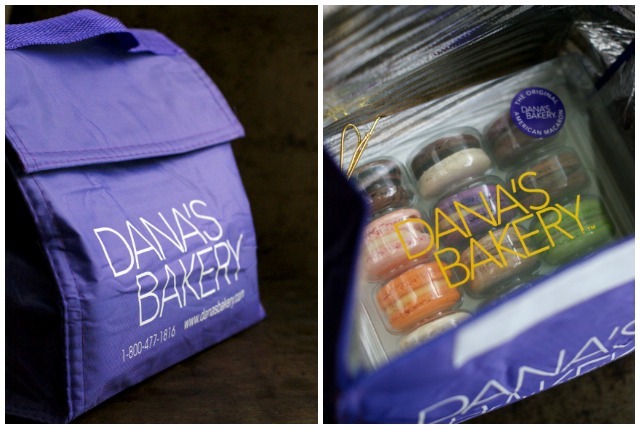 All deliveries are sent using overnight or two-day service in a reusable Dana's Bakery insulated cooler bag with an ice pack. The quality is seriously top notch. My family is lucky I let them get in on this macaron action because they were so darn pretty when I opened the box that I really didn't want to share. We all nibbled on these delightfully beautiful macarons and, I have to tell you, they really are delightful! The flavors are so unique and we all had a favorite right away. My son immediately went for the Orange Creamsicle and devoured it. My daughter was partial to the Strawberry Shortcake. My favorite just happened to be my husband's favorite, too. We adored the Key Lime Pie, which is surprising because neither of us expected it to be a standout for us. 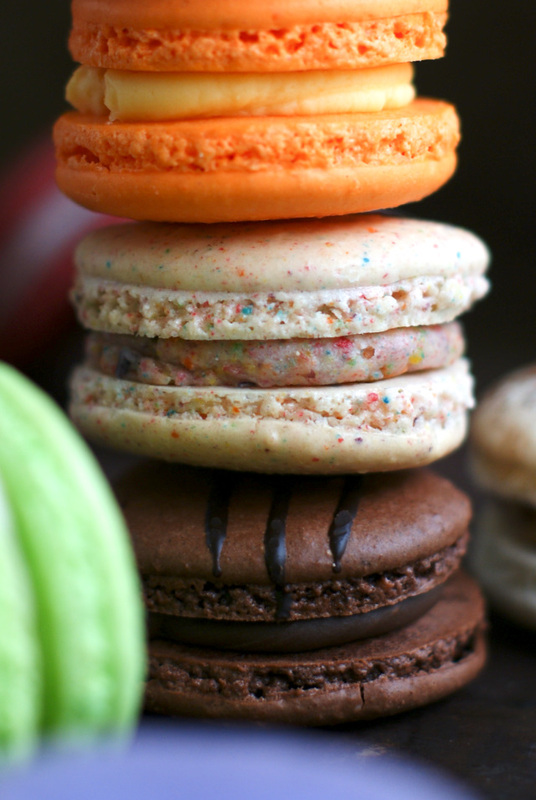 And can we just talk for one minute about the Fruity Cereal macaron? So fun, so nostalgic, and the spot-on cereal flavor from my childhood. Love! Another really cool thing about the macaron flavors that Dana's Bakery offers is that there is always a Flavor of the Month thrown into the mix to keep things fresh and exciting. These monthly additions don't disappoint! Some past Flavor of the Month features include Chocolate Stout, Sea Salt Caramel, and Margarita. Margarita, y'all! I still need to get my hands on one of those! Each one is a 'think outside the box' flavor, which is what really makes Dana's Bakery macarons a unique concept. Wondering how you can get your hands on some of these fab macarons? Check it out. 10% OFF CODE: Sign up for the Dana's Bakery email list and save some moolah on your first order. BUILD A BOX: Once you try them, you'll surely have some favorites. Order a box filled with the flavors you fall in love with! MONTHLY MACARON SUBSCRIPTION: You tried them, you love them, so why not treat yourself (or someone else) with a mac delivery once a month! They are the perfect foodie gift idea! MACARON MAKING KITS: Are you more the "I can do it better myself" type? 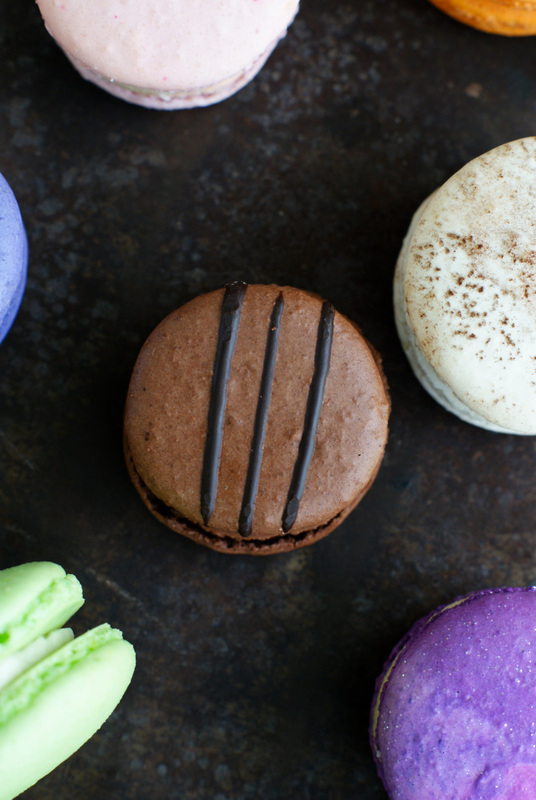 Make your own macs with the Macaron Making Kits available in four popular flavors. The Dana's Bakey box that my macarons were delivered in had Made With Love printed on the side. You can really tell that these gorgeous macarons are crafted with exceptional attention to detail. Some are drizzled with perfect lines of smooth chocolate, some are dusted with whimsical edible glitter, and each and every one of them is a work of art, yet still maintain traditional macaron integrity. They are a must-try for any foodie and get two thumbs up from The Two Bite Club! 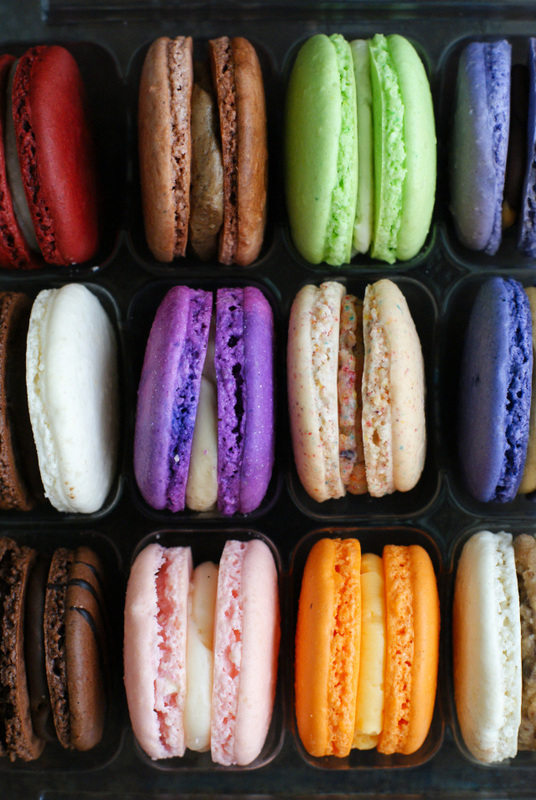 Which macaron flavor are you dying to try? Head on over and check out the macaron gallery and let me know in the comments below! I received samples of Dana's Bakery Macarons in exchange for this review. All thoughts and opinions are, as always, 100% my own. This post contains affiliate links.